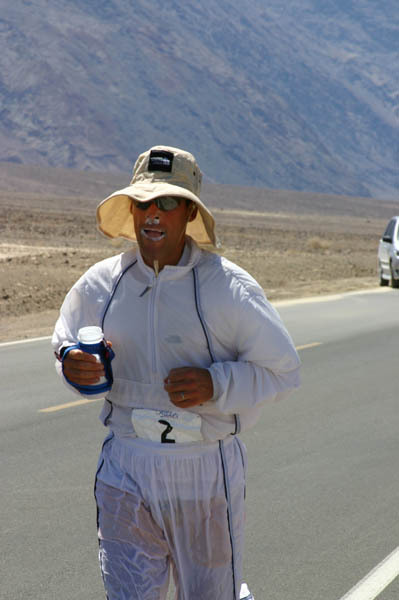 Dean Karnazes, Ultra Marathon Man! Dean wasn’t a normal child – on his 12th birthday, he decided to ride his bike to his grandparents house which was 40 miles away. He had no idea how to get there and it took him all day (and undoubtedly more than 35 miles on the bike), but he made it. Dean helped his team win a varsity cross-country race as a high school freshman but never ran again after that. Dean ran again after over 15 years off on the night of his 30th birthday. He left the bar drunk, put on his gardening shoes, and ran 30 miles through the night in just his underwear. Why? Because it felt good. This ultra-runner ran his first 100 mile race shortly after he rediscovered his passion. He ran the Western States Endurance Run which takes place mostly on mountainous trails (with a cumulative climb of 18,090 feet and a descent of 22,970 feet). More on that run here. Dean is one of the only people on earth to run a marathon in Antarctica at -40 degrees Celsius. In 2006, he ran 50 marathons in all 50 states in 50 consecutive days, finishing with the New York City Marathon, which he completed in three hours and thirty seconds. Dean has been receiving quite a bit of press lately due to the fact that he is literally running across America. Yes, you heard right. He began his journey on February 25, 2011 at Disneyland in Anaheim, California, and will be running up to 50 miles per day for 75 days, finishing in New York. Currently, he’s running through Indiana. You can track Dean’s progress here. As of April 15, 2011, he has run 2,097 miles in 49 days, 4 hours and 47 minutes (that is about 80 marathons and counting). Not only is Dean’s ability to run astounding, his ability to EAT while running is astounding. He starts “Ultra Marathon Man” with an anecdote about a time he was running through the night and called a Round Table Pizza to help him fuel. He knew that Round Table was the only pizza joint that would deliver without an actual address. He dials his phone and orders a large pizza with extra everything to be delivered to a cross street. He also adds a full cheesecake and a large coffee to his order. The delivery kid is astounded when he finds Dean running down the street alone at midnight and probably was even more impressed with his ability to carry and eat all of that food while running. I mean, it’s difficult for me to down a 100 calorie GU during a race, let alone a massive meal full of saturated fat! Upon further research, Dean is actually a very healthy eater. I think when times are tough and he doesn’t have a crew waiting for him and he’s not running a race, he’ll take what he can get. During a day where he runs 40-50 miles, he will need to eat at least 8,500 calories. According to his blog which is currently being maintained by his personal coach and trainer, Dean eats the following items during the runs where he has a crew to prepare them: yogurt, Ensure, granola, avocado, crackers, cottage cheese, Greek yogurt, mixed nuts, brown rice, salmon, lettuce, tomatoes, bananas, cheese, black beans, tortillas, crystallized ginger, salt, bulgur, ginger snaps, a locally sourced berry pie or pastry, scrambled eggs, chocolate covered espresso beans, and Zico coconut water. He eats about 60-75% of these things while he’s on the road running! I’ve noticed lately that I’ve started really thinking about some bigger fitness goals (i.e. a half marathon is starting to seems too easy now) and I think part of it is attributed to reading Dean’s book. When I think about the fact that he ran 200 miles straight as a one-man team for a Ragnar relay race (usually 12 people complete the mileage) or that he ran from Death Valley to Mount Whitney, it makes my little 14 mile training runs seem insignificant! Not that I’m getting down on myself – clearly Dean has a few screws loose because some of his stunts are just plain dangerous. However, what has happened is that Dean has inspired me to take on more goals of my own! Personally, I have no desire to run 100 miles straight, but I may have a desire to run a few more marathons (and get faster at them) and sign up for a few triathlons (even possibly ones that are VERY long?!). 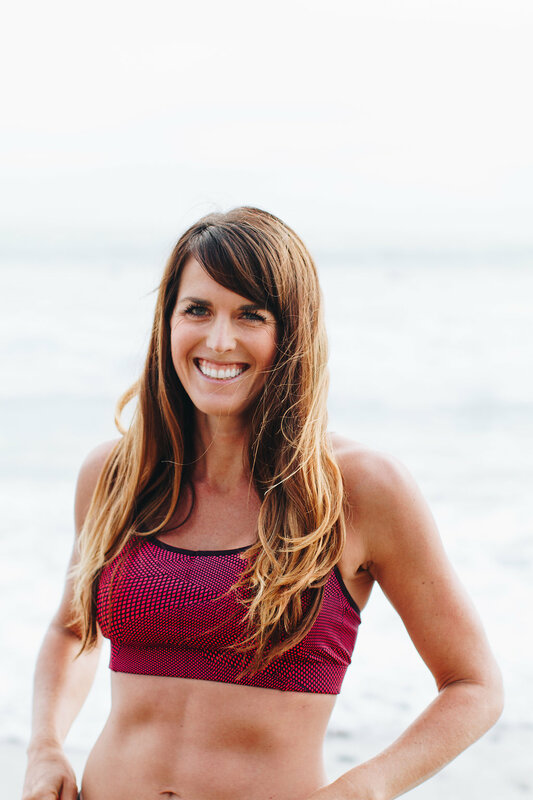 I am at a good place right now with my fitness outlook – I feel stronger than I ever have and I am excited for all the races to come! So my 30th birthday is less than 2 months away… Think I need to plan an all night run in my undies to celebrate? !